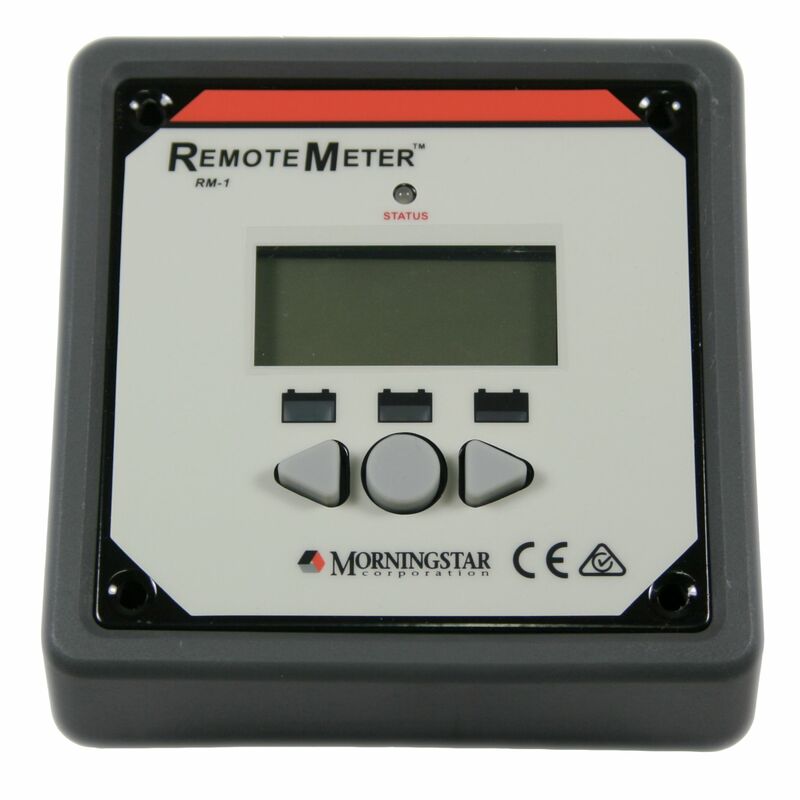 Morningstar’s Remote Meter (RM-1) is a universal, four digit display with custom icons that is compatible with several Morningstar controllers and inverters. This meter provides comprehensive system information for several Morningstar products. For full description of what is displayable for your controller see the specification at the bottom of this page. 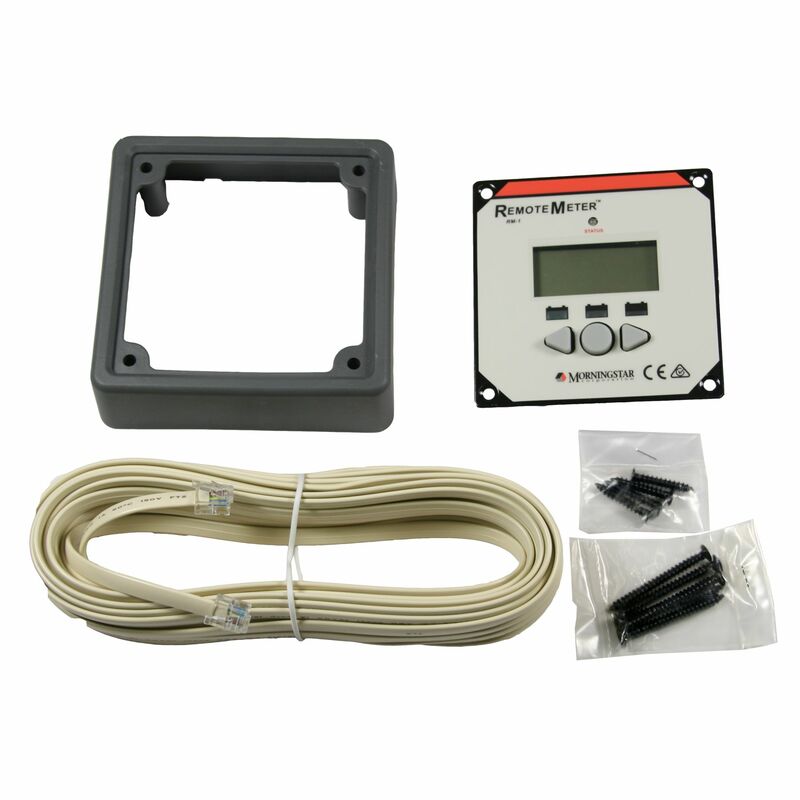 Provides Important Information - The digital meter displays voltage, current, temperature, logged data, settings, alarms and error reporting for easy troubleshooting. Low Self Consumption - The Remote Meter was designed for low self-consumption to avoid draining the system batteries on even small solar systems. Self-consumption is 6 mA with backlight off and 15 mA with backlight on. Do you own the RM-1? Please, tell us what you think about it. It helps us provide you with better products. Please note that it may take up to 72 hours for your review to appear.